West Indies 7-171 (Dwayne Smith 72, Chris Gayle 48, Al-Amin Hossain 3-21) beat Bangladesh 98 (Mushfiqur Rahim 22, Mashrafe Mortaza 19, Samuel Badree 4-15, Krishmar Santokie 3-17) by 73 runs. The Caribbeans blasted 171 runs for the loss of seven wickets in 20 overs and the Bengal Tigers were bundled out on 98 mere runs with five balls to spare. 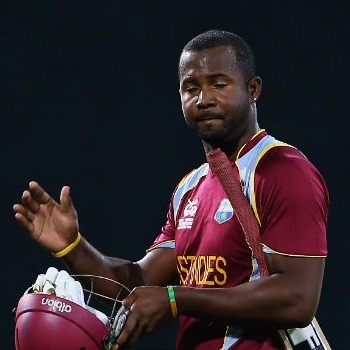 Dwayne Smith (West Indies) was declared ‘Player of the match’ for his aggressive knock of 72 from 43 mere balls. The ICC World T20 – 20th match, Group 2, was played on Tuesday, March 25, 2014, at Shere Bangla National Stadium, Mirpur. Earlier, Mushfiqur Rahim won the toss for the home side and decided to field first. Dwayne Smith and Chris Gayle were slow in the beginning and reached 57 after nine overs. The first was the busiest of the two and went past his third T20 fifty in the next over with 4 well timed fours. The partnership was dislodged at 97 when he was gone for 72 off 43 deliveries with 3 towering sixes and 10 fours. The next wicket fell with the addition of just one runs to the total as Gayle opted to attack and enhanced the score to 151 in 18.1 overs. 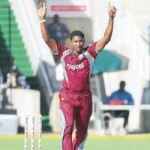 He became the third victim for 48 as the Windies piled up 7-171 after 20 overs. Al-Amin Hossain was the top wicket taker with three whereas Mahmudullah, Shakib Al Hasan and Ziaur Rahman shared one wicket each. The Begal Tigers had an awful beginning by losing their three top order batsmen at just 16 runs. Mominul Haque along with Mushfiqur Rahim provided some resistance and crept to 51 in 9.1 overs when the first surrendered for 16. The latter was the sixth batsman who went back to the dressing room at 58 for 22 as the rival bowlers penetrated through the middle and lower order batting. Sohag Gazi and Mashrafe Mortaza were the two other batsmen who entered the double figures by scoring 11 and 19. The entire Bangladesh team was bowled out for just 98 runs in 19.1 overs. Samuel Badree was the star performer with four wickets, Krishmar Santokie got three, Andre Russell two and Sunil Narine chipped in with one wicket. West Indies defeated the hosts with a hefty margin of 73 runs and opened their account with two points.